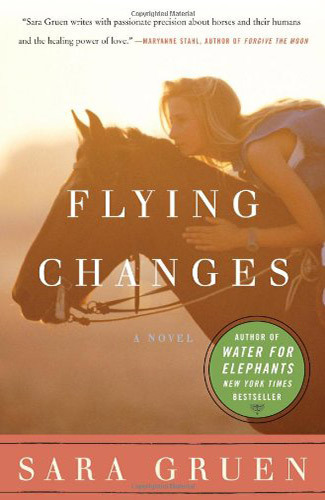 “Flying Changes reminds me how unpredictable life is. . . .
Maybe it’s her approaching 40th birthday…or her ex-husband’s new wife and baby…or Eva, her rebellious 16-year-old daughter—but the only time Annemarie Zimmer feels any peace is when she’s on horseback, flyinglike the wind. Even her relationship with Dan—the man who put the reins back in Annemarie’s hands after a tragic accident left her bitter and afraid—is on shaky ground. Could the fact that she can’t have any more children be the reason he hasn’t proposed? Annemarie is well aware that the past is still a cloud on her horizon, and now that Eva is demanding to ride competitively, it’s getting darker by the minute, conjuring up images she would rather forget.